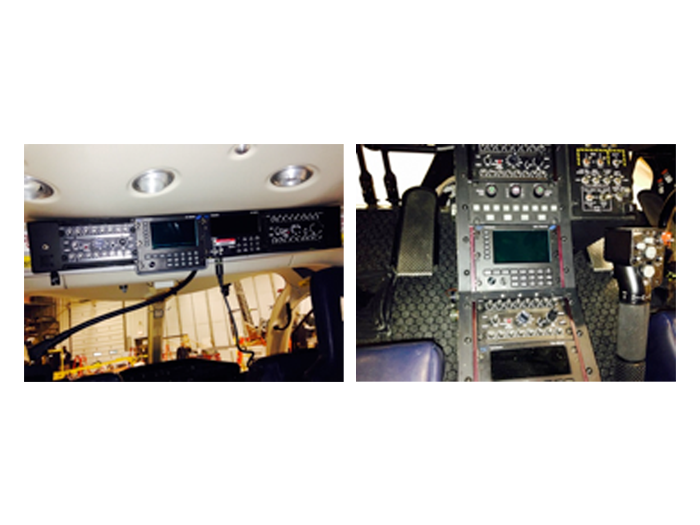 PAC International (Paradigm Aerospace Corporation) recently completed tactical communication radio system upgrades on the first of two Fairfax County Bell 429s. PAC is updating the aircraft from the original Technisonic TDFM 7000/RC7000 equipment installed during the original completion to the new TDFM 9000/RC9000 system. The 9000 series transceivers offer modern communication technology including Project 25 (P25) Analog/Digital/Encrypted/Multi-band AM/FM radio transceivers, P25 trunking and P25 common air interface (CAI). The P25 CAI allows digital communications with backward compatibility to both narrow and wide-band analog operation, flush upgradeable architecture and built-in audio switching capability that allows the operation of multiple RF modules in either combined or separate transceiver configuration. The TDFM 7000 and 9000 systems both feature up to four customized frequency bands and are capable of simultaneous operation on all available bands. The 9000 series system can also store up to 2,000 channels per module versus 1,050 on the 7000, and features Motorola’s new APX platform rather than its XTS platform on the 7000 series. PAC International, a Metro Aviation company, has a worldwide reputation for providing a wide range of innovative, customer-focused, and high- quality helicopter completion and customizing services on Bell, Airbus, Agusta, Sikorsky, and MD Helicopters. PAC has established a reputation for providing state-of-the-art services in helicopter painting, custom interior fabrication, and avionics installations. PAC also has a long history of providing domestic and international law enforcement agencies and EMS operators with mission-specific customization, featuring tactical communications and navigation systems, infrared and daytime surveillance systems, emergency medical and search and rescue equipment, and special operations equipment. PAC has a long-standing relationship with the Fairfax County airborne unit in Virginia, having completed several Bell 407s and most recently their currently operated 429s. PAC also continues to provide the county with ongoing maintenance support, as well as equipment upgrades when required.